Wander over the Arboretum property and create your own route to and from the Visitor Center. The map provided at the Visitor Center and strategically placed signs help you find your way. Benches and seats are provided throughout the Arboretum for rest and quiet contemplation. We suggest that your visit include the following points of interest. This 286- feet- long rectangular garden on the south side of the property is fenced to protect the plants inside from rabbits and deer. Many of Polly’s plant introductions, including her famous North Tisbury azaleas grow here. 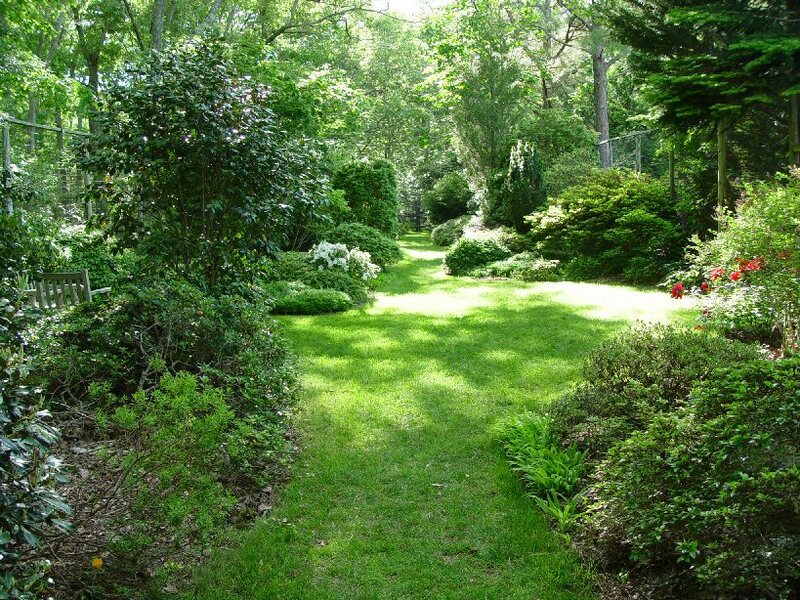 Other rare plants, such as lilac daphne (Daphne genkwa) and Oconee bells (Shortia galacifolia), grow together with choice shrubs, trees, and woodland perennials. 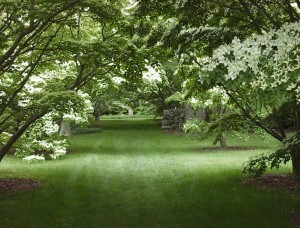 Beginning at the “Gym” and extending 284 feet southward is an allée of the Kousa dogwood (Cornus kousa), a species native to eastern Asia. Flowering from the middle of June into July, these spectacular plants are among the finest small trees for the home landscape. Several of the trees forming the allée are Polly’s introductions, selected for their habit of growth, showy flowers, and ornamental fruit. 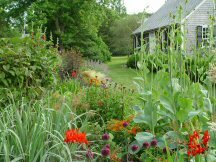 Along State Road adjacent to the Homestead, this vibrant, sunset-hued garden provides color and interest throughout the growing season. Backed by a picket fence, the mixed border combines trees, shrubs, perennials, bulbs, and grasses creating and ever-changing display of inspiring plant combinations. 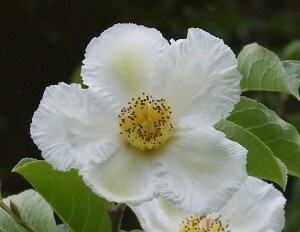 In striking groves and as magnificent specimens, 17 different types of stewartia trees thrive throughout the Arboretum. These distinguished trees are a year-round highlight in the landscape with their lovely bark, abundant exquisite flowers, and attractive reddish, purple, and yellow fall foliage. The Arboretum holds the national collection of Stewartia and seeks to further develop this collection and expand our knowledge through research and exploration. 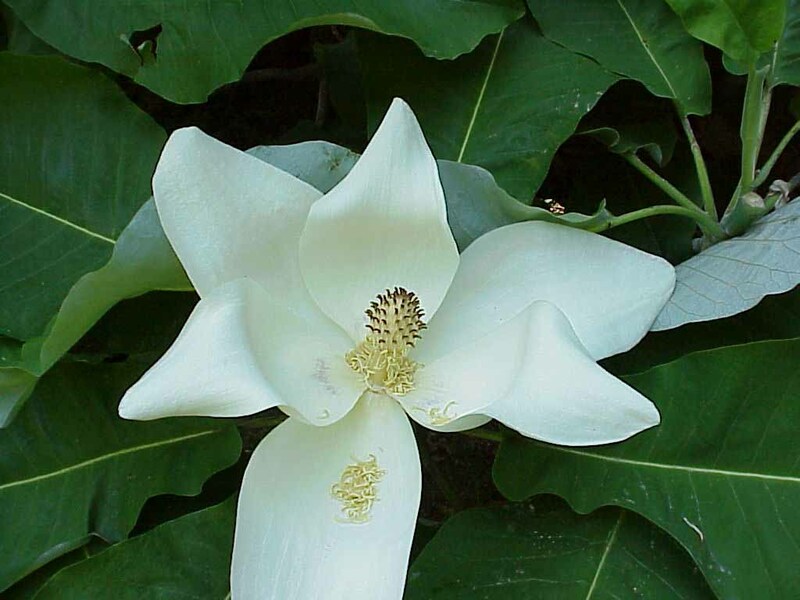 Located next to the nursery, the Julian Hill Magnolia, Magnolia macrophylla ‘Julian Hill’ is the Arboretum’s most asked about tree. Magnolia macrophylla, the Big-Leaf Magnolia, is native to the southeastern United States in Georgia and Alabama to Louisiana northward to Virginia, Kentucky, southern Ohio, and Arkansas and should not be hardy on the Vineyard. However, one of Polly’s seeds produced a magnolia tree that has proven hardy here, making it worthy of selection. This large specimen was planted in 1961 and flowered after only nine years. Polly named the selection after her husband Julian. He disliked the pinks and reds of the azaleas Polly was experimenting with at the time. Julian liked big white flowers and Polly says, “This is the biggest white flower I have.” The flower is frequently 18 inches in diameter!